When it comes to good oral hygiene, you’ve got it all figured out: daily brushing, flossing, and regular visits to the dentist. But if you drink wine, coffee, or tea frequently, a regular toothbrush isn’t going to keep those pearly whites shiny and bright. Take a look at your teeth—if they’re looking a little brown or gray, it may be time to consider a whitening treatment. Chances are, you’ve seen some DIY brands at the local grocery store, but do they actually work? Diane M. Evans, DDS, a family dentist in Rush, NY, says teeth whitening should be left to the professionals. She and her staff are here to offer some advice to help you brighten your teeth and get the most for your money. New Technology Equals Better Results: Forget sticky strips or messy trays. When you choose professional teeth whitening treatments, you’ll have access to state-of-the-art equipment and the most effective bleaching products available. Dentists use bleach concentrations that are much stronger than DIY products, and many have lasers that can speed up the process. 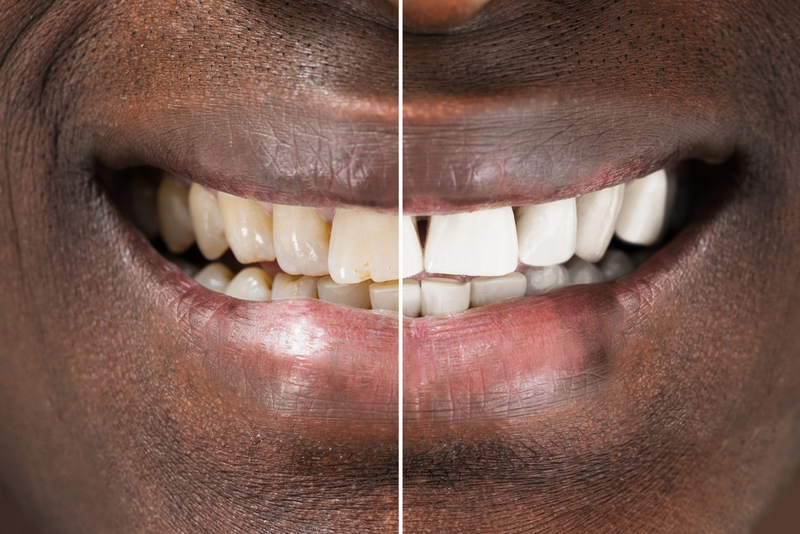 Longer-Lasting, Whiter Teeth: When you bleach at home, you’ll see some changes, but your teeth will only end up a few shades lighter. Professional teeth whitening treatments are comprehensive, as dentists use better bleaching products that reach the deeper layers of your teeth, giving you better, longer-lasting results. Predictability & Safety: Teeth whitening treatments can last only a few weeks or as long as two years! If you have it done professionally, the dental staff will continue to monitor your teeth to ensure you have good results. Safety is another factor to consider. While teeth whitening is normally quite safe, certain bleaching agents can damage the gums and dentin—the material located underneath your tooth enamel. When you see a professional, you can rest assured your teeth are protected and the treatment is safe. Whether you are looking for a whitening treatment, need a new dental crown, or require a teeth cleaning, you want a dentist you can trust. If you live in Monroe County, look no further than the dental office of Diane M. Evans, DDS. Call (585) 321-2460 to make an appointment, or visit the office website for a complete list of dental care services.